InterContinental Hotels Group (IHG), is launching its first hotel brand specifically for Chinese consumers, called Hualuxe Hotels and Resorts. The Hualuxe brand has been backed by a multi-million dollar brand investment and will roll out across China from late 2013. IHG plans to launch the brand globally, but has not set a timescale for this yet. Hualux Hotels and Resorts has been designed to demonstrate pride in Chinese customs and reflect local tradition within an upscale international hotel chain, reflecting demand from the Chinese domestic market. IHG said the number of domestic travellers in China is expected to reach 3.3 billion in 2015, while the Chinese hotel market is projected to grow by 5% to 8% annually by 2030. Outbound trips from China are expected to leap from around 10 million journeys to more than 100 million over the next 10 to 15-years. According to IHG, it is already the largest international hotel operator in China, with over 160 hotels in 60 cities, which the group hopes will extend to a total of 100 cities in the next 15 to 20-years. Richard Solomons, chief executive of IHG, said: "Building on our proven ability to build, develop and nurture brands, we are very proud to be launching Hualuxe Hotels and Resorts – a unique brand developed by our Chinese team that we know will resonate with the very important, fast-growing, Chinese consumer base. 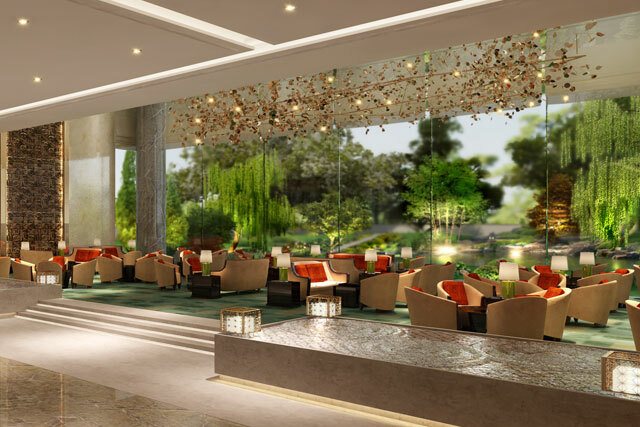 "Hualuxe takes the best aspects of renowned Chinese hospitality and applies IHG's international scale, powerful systems and unparalleled insights into the Chinese market to deliver a traditional high-end consistent experience." IHG said it expects to recruit around 90,000 new staff worldwide to work across its brand offering, and has already announced it will be creating 3,000 new jobs in the UK over the next three years, including a number of new marketing roles, through the launch of a London training academy and new hotels.